Progress continues on construction of the more than 11-mile segment of Phase 2 of the Silver Line from the Wiehle-Reston East Metrorail Station westward through Dulles Airport and on to Ashburn in eastern Loudoun County. 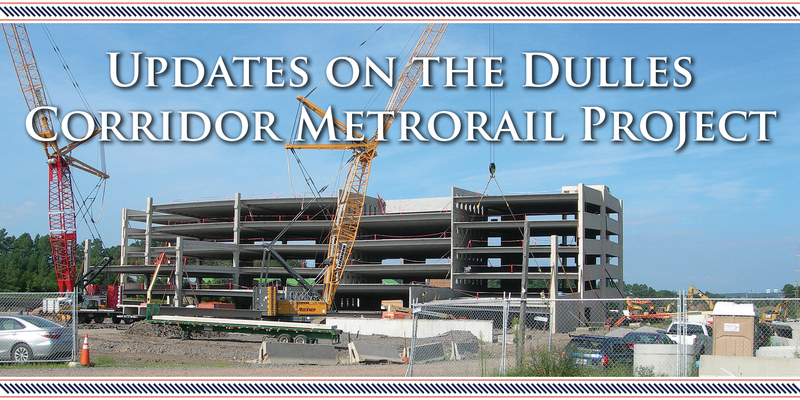 Pedestrian bridges providing access to the stations from sides of the Dulles Toll Road/Dulles International Airport Access Highway corridor are in place at most stations. Electricity has been turned on to some parts of the system. Construction access has been secured to almost all needed areas. All six Phase 2 stations are up. Parking garages are coming along, track is being laid, and support facilities and train control rooms and traction power substations which will ensure a continuous flow of power to the trains are visible. Such is the good news recently shared by project officials with Federal Transit Administration officials and leaders of local governments who are partners in the project being built by the Metropolitan Washington Airports Authority. The project will be turned over to the Washington Metropolitan Area Transit Authority when it is completed, and that agency will operate it as part of the region’s mass transit system. Already clearly visible atop the aerial guideway structure is the Dulles Airport Station. “Setting of the Pedestrian Bridges over the Toll Road and the DIAAH corridor over the past months and the continued transition of the look for the Dulles Station with the removal of the tower crane there after setting the canopy roof are the most dramatic events that changed the landscape around the project,” said John Kearney, the project’s construction manager. Work continues on the other five stations—Reston Town Center, Herndon, Innovation Center, Loudoun Gateway and Ashburn. The project is being built in two parts. The first includes the track, the systems, the stations, etc., and is 74 percent complete. The second is the rail yard and maintenance facility to service both the Silver Line and the rest of the Metro system. It is 61 percent complete, according to project executive director and vice president Charles Stark. “Hopefully we will see roof structures on these pavilions in the next quarter starting at Innovation Station south,” Kearney said. Connecting the traction power and tire breaker stations to the guideway and stations with power cables. Roofing, escalator installation, plumbing and electrical work and installation of concrete bridge decks at Innovation Center, Reston Town Center and Herndon stations. Continued installation of ballasted track at at -grade sections. 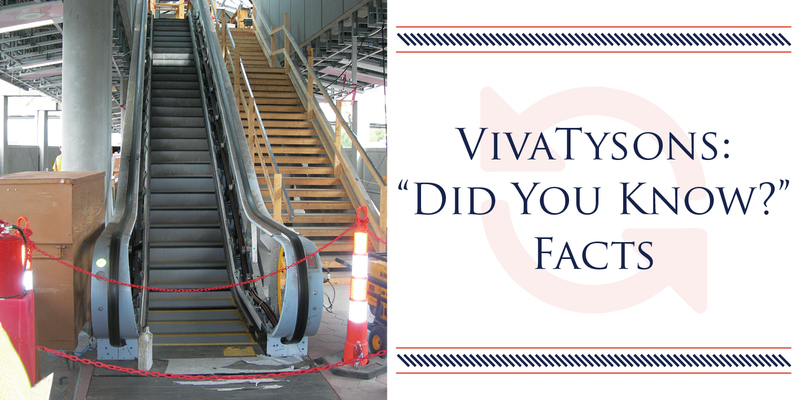 Ongoing mechanical, plumbing, and elevator and escalator installation at Dulles Airport Station. Final grading, paving and utility installation. Roofing at several buildings. Construction of the train-wash facility. Dulles Corridor Metrorail Project workers have spent recent weeks systematically installing a series of pedestrian bridge segments that future Silver Line passengers will use to access the train stations. 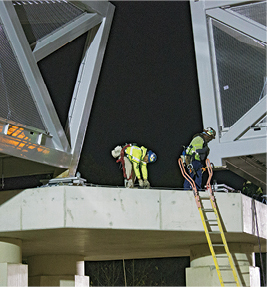 These images were taken during the installation of segments at the site of the future Reston Town Center Station. 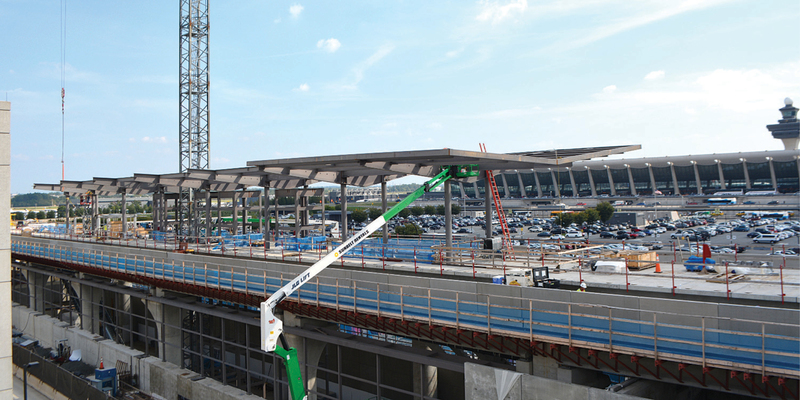 Pedestrian bridges are being installed at every Phase 2 station except for Dulles Airport Station. The bridges will lead to pavilions on the north and south side of each of those stations except Loudoun Gateway, which only has a pavilion on the north side. Installation of the many of the bridge segments required lane closures along the Dulles Toll Road (DTR), the Dulles International Airport Access Highway (DIAAH) and/or the Dulles Greenway. The final pedestrian bridge segments are expected to be installed by the end of 2017 or early in 2018. 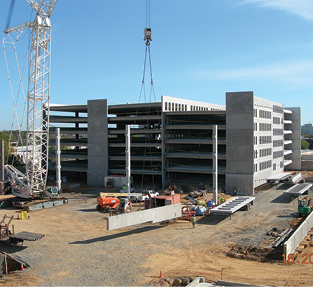 Fairfax County is building the parking garages that will serve commuters at the Herndon Station and at the Innovation Center Station. Construction of the Herndon garage is more than 50 percent complete. It is being built near an existing county garage which has served as the Herndon Park and Ride lot to serve Fairfax Connector buses. The two garages will be connected by a bridge for pedestrians and vehicles. The new garage is expected to be complete in late Spring 2019. 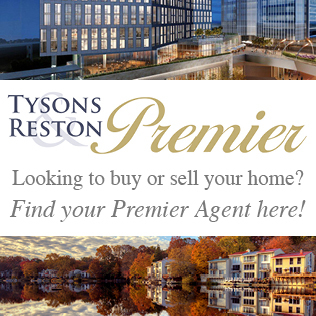 Get set Tysons businesses, residents and commuters. Dulles Corridor Metrorail Project crews soon will be doing some maintenance and enhancement work along Routes 7 and 123 in early 2018. Disruptions will be minimal and alerts will be issued to make sure no one is taken by surprise. In addition, any business whose access might be impacted will be contacted directly by project officials. Repair of storm drains and underdrains. Update driveways and sidewalks to meet ADA requirements. Improve drainage on a section of Route 123. Repair bus turnouts near the Spring Hill and McLean Metrorail stations. Crews also will adjust the alignment of Old Meadow Road at Route 123, but that work will take place later in the year.